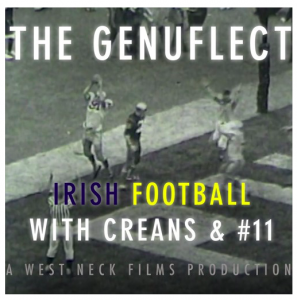 Almost 48 years after they combined to beat Purdue at rain-soaked Ross-Ade Stadium in 1971 on what became known as The Genuflect Play, former University of Notre Dame quarterback Patrick Steenberge and his tight end target Mike Creaney are still connecting in the name of Irish football. 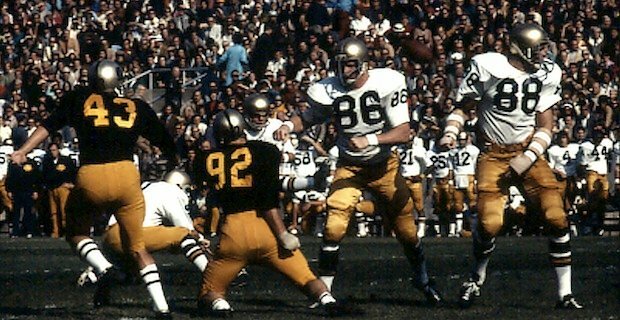 This week, Mike and Global Football President & Founder Patrick have a treat for all Notre Dame fans as Dave Casper, who went on to a Pro Football Hall of Fame career in the NFL, recalls his memories of his days in college football. The Ghost, as Casper was known during his time with the Oakland Raiders, shares some hilarious anecdotes as he spars on air with his former teammates. The relationship between Steenberge and Casper goes way back to when the Irish quarterback hosted the tight end on a recruiting visit to Notre Dame. Then years later, Ghost was among the staff at the Global Football-organized original Notre Dame Fantasy Camps. 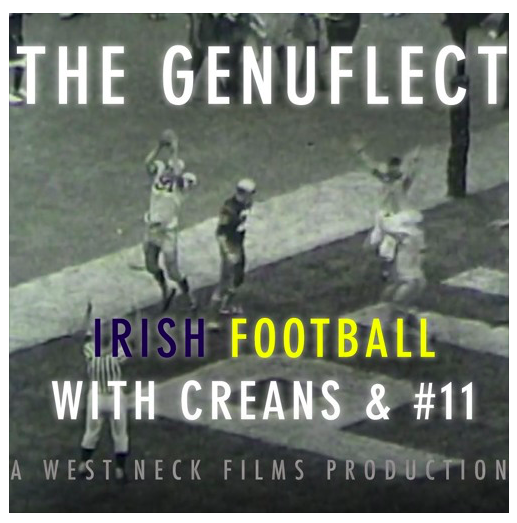 Each week a new guest shares his memories of playing at Notre Dame on the podcast, which is a West Neck Films production, and of course, Creans and #11 often manage to mention the day they made sure Notre Dame pulled out a miracle win in the final seconds to defeat Purdue. Check back each week for the latest episode.